SF New Tech evolved from its first “meetup” of eight geeks talking about tech over cold pints at the Mars Bar back in April 2006, to a cornerstone of the Bay Area technology community; serving over thousands tech industry movers and shakers, VCs, journalists, hackers, developers, recruiters from the Bay Area — and beyond. Hundreds of companies have taken to the SF New Tech stage to demo their latest and greatest and thousands of companies have been in attendance. Top companies have supported SF New Tech, including but not limited to Microsoft, AT&T, Motorola, eBay, Cisco, PayPal, Thumbtack, Imgur, LinkedIn, The New York Times, and many others. SF New Tech is the Bay Area’s most-loved tech event. SF New Tech was founded by, and is produced & hosted by Myles Weissleder, who’s been dancing with pixels since 1994. Myles learned a lot about bringing like-minded folks together to make a difference as one of the “founding fathers” of Meetup.com. He is proud to have been able to grow what was once just a tiny “meetup”, into what’s now a Bay Area institution. 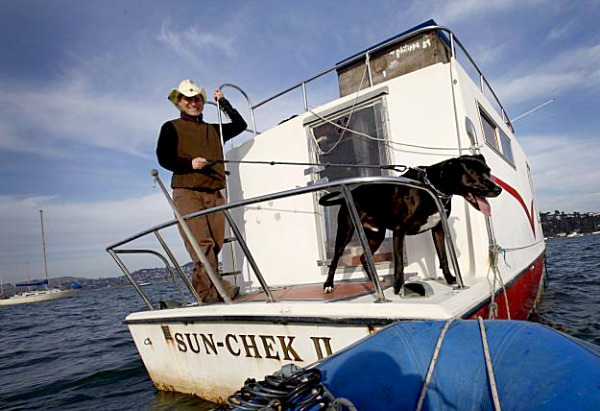 The SF New Tech office was once anchored off the shore of Sausalito, CA and was perhaps one of the only floating offices at the center of the technology world and in the middle of the San Francisco Bay. The “SS SFNT” has since been decommissioned. It’s a long story — a true fable of the sea — and you’re encouraged to ask Myles about it when you see him. SF New Tech operatives are available to help your organization reach influencers in the Bay Area (and beyond) via custom consulting programs. Put the power of our team to work for you. Get in touch with us at consulting@sfnewtech.com with your needs, dreams and desires (and your budget) and we’ll propose a strategy for success!